Contract As part of the contract, MySaaSPlace will allow you the use of the Service, which includes a feasible interface in the browser, MySaaSPlace tool, the encryption, the transmission, the access and the storage of data. The contract is celebrated between G G Gabinete de Gestión , S.L (from now “MySaaSPlace”) and “THE CLIENT” or “THE USER”. By clicking in the “ACCEPT” button that appears as part of the register process, the user accepts the following conditions (THE “CONTRACT”) that govern the use of the MySaaSPlace service on line, including the offline components or programs installed in the clients systems (“THE SERVICE”). If you accept this contract on behalf of a company or another legal entity, you show that you have the authority to accept these conditions, in which case the terms “USER” and “YOUR” will refer to the above mentioned entity. If you have not this authority or do not accept these conditions, you will have to stop your contract process and you will not be able to use the service. Additionally MySaaSPlace offers services of additional aptitude to complete the functionalities of the system that the client will contract. Depending on the offers in each period, MySaaSPlace will be able to offer, temporary offers and/or indefinite use offers that it allows the use of certain forms, functionalities or services as free trial or in a free way forever. Consult our Web site to know the differences between the different modalities and free offers. The privacy and safety policies of MySaaSPlace can be consulted in http://www.MySaaSPlace.com MySaaSPlace reserves the right to modify its privacy and safety policies as its own criteria when it considers necessary. When the users starting session for the first time, they will be asked if they want to receive marketing communications and related to other not essential services by MySaaSPlace time to time. They can decide to not receive these communications in this moment or later changing the preferences into the corresponding menu of general configuration. Bear in mind that as the Service is an online application, it is possible that MySaaSPlace has to notify occasionally all the Users of the Service (they have decided or not to stop receiving communications as there have been described previously) the important notices about the functioning of the Service. By this Contract MySaaSPlace grants to you the world , not transferable and not exclusive right to use the Service, only for your own internal managerial use subject to the conditions of this Contract. Not granted rights definitely will be reserved to MySaaSPlace and its licensors. You will not be able to access to the Service if you are a direct MySaaSPlace rival, except with the previous agreement written by MySaaSPlace. You will not be able to access to the Service with availability supervision, performance, functionality or other competitive ends. You will not be able to (i) grant the license, sublicense, sell, resell, transfer, assign, distribute or exploit commercially of any other way or make available to others the service or the content; to (ii) modify or to realize works based on the Service or Content; to (iii) create Internet “links” to the Service or to “hide” o to “duplicate” the Content of any other server or device wireless or based on Internet; to (iv)realize inverse engineering or to access to the Service for to (a) create a product or competitive service, to (b)create a product using ideas, features, functions or graphs similar to the Service or to (c) copy ideas, features, functions or graphs of the Service. The user’s Licenses cannot be shared or use for any more than one only User, but they can be re-assign to new Users who replace previous Users who have finished its work or changed the state or the labor function and they are not going to keep on using the Service. You can use the Service only with internal managerial ends and you will not be able: (i) to send spam or duplicated or not wished messages that infringe the applicable laws; (ii) to send or to store material illicit, obscene, threatening, slanderous, illegal or offensive, included material harmful to the children (or minors) or that infringes the privacy rights of others; (iii) to send or to store material that contains software with virus, worms, Trojans or codes, files, sequences of commands, agents or harmful computer programs; (iv) to interfere or to affect to the integrity or the Service performance or to the data that it contains; (v) to try to get unauthorized access to the Service or the systems or networks. Some editions of the Service offer integration capacity through an Application Program Interface or API. The number of calls of API that you can realize for each account is limited as it is the version or form of API to which the client access. The User is responsible for all activity that takes place in its User’s account and must abide by all the laws, agreements and applicable regulations both are already of local, state, national or international related to the Service use, that there are included the uses related to the privacy of data, international communications and the transmission of technical or personal data. You have to: (i) notify to MySaaSPlace in an immediate way of any unauthorized use of passwords or accounts or any other well-known nonperformance of the safety or that is suspected; (ii) to inform MySaaSPlace in an immediate way and to do all the possible things to stop immediately any copy or distribution of the Content of which it has knowledge or suspects, both the User and its secondary Users; and (iii) not to posing as another MySaaSPlace user or offer information of false identity to have access to the Service or to use it. MySaaSPlace is not an owner of any information or material that you send to the Service during the use of the Service (“Client data”). The User and not MySaaSPlace will be the only one responsible for the accuracy, quality, integrity, legality, reliability, suitability and copyright of all the Data client use and MySaaSPlace will not be responsible for the elimination, correction, destruction, damage, loss or bug happened during the storage of the Client Data. In case of expired of this Contract (another different reason from its nonperformance), MySaaSPlace will put at your disposal a file with the Client Data during a period of thirty (30) days after the expired, if you request it at the moment of the Contract resolution. MySaaSPlace reserves the right to retain, eliminate and/or to refuse the client Data without previous notice for reason of its nonperformance, inside which it is included, although not in exclusive form, its non-payment. In case of expired for a justify reason, it will stop immediately you right to access or to use the client Data and MySaaSPlace will not have the obligation to maintain or to send the client Data. MySaaSPlace (and its licensors, in useful case) is the owner of all the rights and interests, in which they include all the related with the copyright in the Technology, the content and the MySaaSPlace Service and of any suggestion, idea, request of progress, comment, recommendation or any another information that the user has offered or any another part related to the Service. This contract does not suppose a sale and does not grant you any property right on the Service, the technology of MySaaSPlace or the copyright that MySaaSPlace shows. The MySaaSPlace name, the MySaaSPlace logotype and the products names associated to the Service are MySaaSPlace brands or of others and it does not grant any right or licenses for its use. During the use of the Service you can share correspondence, acquire assets or services or take part in promotions of advertisers or sponsors who show your assets and/or services through the Service. Any of these activities and any condition, declaration or guarantee associated with the above mentioned activities is exclusive of the User and others. MySaaSPlace and its licensors do not have responsibility or any obligation before this correspondence, acquisition or promotion between the User and others. MySaaSPlace does not endorse any Internet site to which access through the Service. MySaaSPlace offers you these links for your convenience and in no case MySaaSPlace or its licensors will be responsible for the content, the products or other available materials in the above mentioned sites. 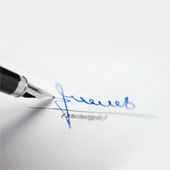 MySaaSPlace offers you the Service in accordance with the conditions of this Contract. Nevertheless, the User admits that other providers of software, hardware or secondary services can need your acceptance of another different or additional license or other conditions before being able to use or access to the above mentioned software, hardware or services. THE CLIENT assumes that MySaaSPlace will issue the invoices recurring charge for the services contracted between the 1st and 15th of every current month, the invoiced services expire in the date of the invoice issue, therefore the amounts are accrued in the same date of invoice issue. The services accrued your payment obligation in the same month that produces the service, being payment in advance to the service reception of the whole period. The services invoiced initially will be equal to the current number of total users Licenses requested multiplying it by the price of current user License and additionally of the additional services that THE CLIENT has contracted. The payments obligations neither can be aborted the full quantities nor can reimburse themselves. THE CLIENT has the responsibility of paying all the use Licenses requested for the whole Period of license, if the user’s above mentioned Licenses are in use as if not. THE CLIENT will have to indicate to MySaaSPlace the number of a valid credit card or a valid bank direct debiting for the charge of the services that THE CLIENT should contract initially or along the period of the account life of THE CLIENT with MySaaSPlace. When THE CLIENT is registered in the MySaaSPlace service, it does it by the first user who is configured as the authorized Manager of licenses, who can add licenses by the invitation of additional users. The additional licenses will be subject to the following conditions: (i) the additional licenses will be adjacent to the Period of existing license (both the initial Period and the period of renewal); (ii) the price of additional licenses will be the price of applicable license in general way at this moment; and (iii) the additional licenses contracted in half of the invoicing period will be prorated its amount to coinciding with the day of general contract renewal, being renewed later by whole periods. MySaaSPlace reserves the right to modify the prices and to introduce new prices and / charges at any moment, with a previous notification to at least thirty (30) days that can be realized by e-mail. All the conditions on the prices are confidential and the User accepts to not share them to other. The storage space of maximum disk that it is offered you in a free way is five hundred (500) MB for the first user license in a free way. If the storage quantity of disk overcomes these limits, you will must contract a license of payment of the existing and later realize the contracted of the additional space that THE CLIENT needs, in this case you will be able to consult the prices of additional capacity published in the Web of MySaaSPlace that will always be the current tariff. By means of the configuration portal that is put at the client disposal in the MySaaSPlace application it is possible to display the consumption that THE CLIENT has as “space” concept, it will be decision of THE CLIENT to contract an additional space or not. Bear in mind that the space that is indicated you, is the whole of space for the whole set of programs (included all the elements Databases, documents, etc.). MySaaSPlace reserves the right to establish or to modify its proceeding habitually and the limits as regards the data storage of THE CLIENT. Apart from other rights granted to MySaaSPlace by this Contract, MySaaSPlace reserves the right to stop or to expired this Contract and the access to THE CLIENT and its Users, if its account is converted in doubtful debtor (it incurs payments debts). The doubtful debtor invoices (accounts delayed in payments) are subject to an interest of one per cent (1 %) in month of the balance outstanding or of the maximum allowed by the law, the quantity that is low of the two, more all the expenses of the collection. It will keep on loading the User the licenses charges during any suspension period. If the User or MySaaSPlace solve this Contract, the User will have to pay the balance outstanding of its account computed in accordance with the previous section Invoicing and renewal. THE CLIENT accepts that MySaaSPlace could load the balance outstanding in its credit card or send to it the above mentioned valuations in its bank direct debiting. MySaaSPlace reserves the right to impose a reconnection tariff in case the User has been suspended and later it has requested the access to the Service. THE CLIENT accepts and admits that MySaaSPlace does not have the obligation to maintain the client data and that the above mentioned data will be able to delete definitely if its account is doubtful debtor for thirty (30) or more days. This Contract starts in the Date of coming into effect and can finish at any moment under own MySaaSPlace and the user criteria. For the unsubscribe of user’s licenses on the part of THE CLIENT, it will must communicate the unsubscribes through the users’ management tool that MySaaSPlace has at your disposal in the MySaaSPlace portal once THE CLIENT access to its Manager’s account, with this tool the User Manager will be able to register new User’s accounts, unsubscribe users account already existed or modify the plans to which each of the Users are signed of its organization. As soon as the initial Period was expired, this Contract will renew automatically the following periods with the same duration of the contracted Period applying the MySaaSPlace tariff at this moment. Both parts can solve this Contract or reduce the number of licenses, with effect only with the expiration of the Period of current license at this moment, notifying to another part in writing with a minimum of five (5) working days before the date of the invoice of the following period. In case that the contract as free trial by indefinite time MySaaSPlace reserves the right to delete the accounts regarding THE CLIENT if it does not log in in the service for its use during a period of ninety (90) days, additionally for services in a free way have a definite validity period, the notifications issued through the Service that they indicate the number of remaining days of the free trial constitute the ending demand note. In case of contract expired ( another reason different from its nonperformance), MySaaSPlace will put at the user disposal a file with the client Data during a period of thirty (30) days after the expiration, if it requests it at the moment of the contract resolution. THE CLIENT accepts and admits that MySaaSPlace does not have the obligation to maintain the client Data any more time and it will be able to delete the above mentioned data in the thirties (30) days after the resolution. Any nonperformance of your obligations of payment or unauthorized use of the Technology or the MySaaSPlace Service will suppose the material nonperformance of this Contract. Under MySaaSPlace, own criteria can cancel your password, account or the service use if it breaks this Contract or not abides by its conditions. MySaaSPlace can cancel a free account at any moment under its own criteria if it was understanding that THE CLIENT or its users are breaking with the present contract. THE CLIENT accepts and admits that MySaaSPlace does not have the obligation to maintain the client Data and it will be able to delete the above mentioned data, if it has broken materially this Contract, for reasons as non-payment of the invoices, and the above mentioned nonperformance has not been solved in a period of thirty (30) days after the nonperformance demand note. Every part declares that it has capacity and legal authority to contract this Contract. MySaaSPlace declares that it will offer the Service in accordance with the general standards of the sector applicable to these dispositions and that the Service will be make basically in accordance with the online help information of MySaaSPlace in normal circumstances. The User declares that it neither has forged its identity nor has offered false information to obtain access to the Service and that its invoicing information is correct. THE CLIENT exempts MySaaSPlace, its licensors and every principal organization, subsidiary, affiliate, manager, the director, employee, legal representative and their agent of all responsibility derived from any claim, costs, damages, losses, obligations and expenses (included the fees and the coasts) came up after: (i) a claim that says that the use of the client Data infringes the rights of other or has caused damages to other; (ii) a claim that, in case of being true, would constitute the nonperformance of its declarations; or (iii) a claim derived from the nonperformance of this Contract on the part of the User or of its secondary Users, whenever in this case MySaaSPlace (a) notify in writing the claim immediately to you; (b) It granted you exclusive control of the allegation and resolution of the claim (whenever it does not resolve or no claim alleges unless it exempts from all responsibility MySaaSPlace of unconditional form and the above mentioned resolution did not affect to the Service or the activity of MySaaSPlace); (c) it offer you all the information and help which it has; (d) it has not compromised or solved the above mentioned claim. MySaaSPlace will have to exempt the User and its principal organization, subsidiary, affiliates, managers, the directors, personnel, legal representatives and their agents of all responsibility derived from any claim, costs, damages, losses, obligations and expenses (included the fees and the coasts) came up after: (i) a claim that alleges that the Service infringes copyright directly, a Spanish patent issued in the Date of coming into effect or a brand of other; (ii) a claim that, in case of being true, would constitute the nonperformance of the declarations of MySaaSPlace; or (iii) a claim derived from the nonperformance of this Contract on the part of MySaaSPlace, whenever the User (a) notifies the claim immediately in writing to MySaaSPlace; (b) grant the exclusive control for MySaaSPlace of the allegation and resolution of the claim (whenever MySaaSPlace does not resolve or no claim alleges unless it exempts the User of all responsibility of unconditional form); (c) offer to MySaaSPlace all the information and help which it has; (d) it has not compromised or solved the above mentioned claim. MySaaSPlace will not be forced to indemnify the client and the User will have to indemnify MySaaSPlace in accordance with this Contract for the claims derived from any nonperformance came up from the combination of the Service with any other product, service, and hardware or business process. MySaaSPlace and its licensors neither declare nor guarantee the reliability, suitability, quality, adaptability, veracity, availability, precision or totality of the service or its content, MySaaSPlace and its licensors neither declare nor guarantee that (a) the use of the service is absolutely secure, opportune, uninterrupted or that works without bugs or in combination with another hardware, software, data system, (b) the service satisfies your needs or expectations, (c) any stored fact is precise or trustworthy, (d) the quality of any product, service, information or another material acquired through the service satisfies your needs or expectations, the bugs or defects are corrected, (f) the service or the servers that make the service possible do not contain virus or other harmful components. The service and all its content offers to the user exclusively. All the conditions, declarations and guarantees, both explicit and implicit, legal or of marketability, adequacy to any specific intention or not violation of the rights of other, remain denied this way in the maximum extension allowed by the applicable law by MySaaSPlace and its licensors. The MySaaSPlace services can be subject to limitations, debts and other problems inherent in the Internet use and the electronic communications, MySaaSPlace does not become responsible for the debts, mistakes of delivery or other damages caused by the above mentioned problems. In no case the full liability of any of the parts will be able to exceed the really full paid quantities in the period of twelve (12) months immediately previous to the presentation of the above mentioned claim, in no case none of the parts and/or its licensors will be responsible before other for indirect, punitive, special, model, accidental, emergent damages or for another type( include the loss of data, inputs, profits, use of other economic advantages) of or related anyway to this service, that is included the use or the incapability to use the service, or for any content obtained through the service, any interruption, vagueness, bug or omission, independently of the cause of the content, even if the part that has caused the damage or the licensors of the above mentioned part have warned precisely about the possibility of such damages. Some states and/or jurisdictions do not allow the exclusion of the implicit guarantees or the limitation of charges for accidental, emergent damages or of another type, so that it is possible that the exclusions established previously are not applicable. MySaaSPlace and its licensors do not guarantee that the Service is adapted or is available for its use in other places. If it uses the Service out of Spain or the European Union, it will be the only one responsible for the fulfillment of the applicable laws, between which there are, included the regulations of import and exportation of other countries. There remains prohibited any deviation of the Content opposite to the laws of Spain and the European Union (included the Member states of the EU). Neither the Content nor the information acquired by means of the use of the Service will be used for nuclear activities, chemical or biological weapon or bullets, unless it is authorized specially by the Spanish government or the appropriate European organization. MySaaSPlace will be able to warn by general notice of the Service, e-mail message to your e-mail address registered in the account information of MySaaSPlace or by written communications sent by mail ordinarily or with postage paid to the address registered in the information of the account of MySaaSPlace. The above mentioned notice will be considered delivered spent forty eight (48) hours after the postal mailing (if it is sent by ordinary mail or with full postage) or spent twelve (12) hours after the mailing (if it has been realized by e-mail). You will be able to send a notice to MySaaSPlace (that will be considered delivered when MySaaSPlace should get it) at any moment for one of the following routes: letter mailing by fax confirmed to MySaaSPlace to the following fax number: +34 943316963. In case of mailing of ordinary mail to the MySaaSPlace head office, you will have to send it to: G G Gabinete de Gestion, S.L. (MySaaSPlace) Parque Empresarial Zuatzu – Edifico Easo – 2º planta Local nº10 San Sebastian (20018) Gipuzkoa (SPAIN), with company tax code B-20511762. MySaaSPlace reserves the right to modify the conditions of this Contract or its policies relative to the Service at any moment, making such modifications effective to you as soon as an updated version of this Contract was published in the Service. The User will be responsible for the review regularly of this Contract. The course of 30 days of the service after the above mentioned modifications will constitute your conformity with the modifications. The User will not be able to transfer this Contract without the assent previous written to MySaaSPlace but MySaaSPlace will be able to transfer without your assent to (i) a principal or subsidiary organization, ii) an investor or (iii) a successor for merger. There remains annulled any pretension of transfer that infringes the stipulated in this section. Any change of control real or proposed that gives like turned out that a direct MySaaSPlace competitor possesses or controls directly or by implication a minimum of fifty per cent (50 %) of THE CLIENT will allow to MySaaSPlace to solve this Contract for justifies reasons of immediate form with notice written.